Gardens are full of life and of lives, forming a little society of their own. 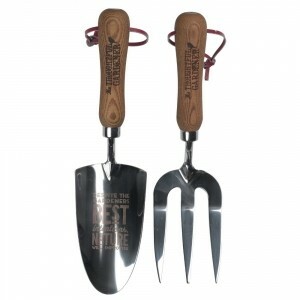 This fabulous Fork And Trowel Set will help you to connect with the earth and with life. What could be more fulfilling? Featuring the engraved quote "Despite the gardeners best intentions, nature will improvise. 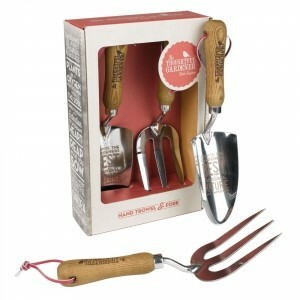 ", this gorgeous gift set is the perfect present for your green-fingered friends! Trowel 32cm x 8cm, Fork 30cm x 8cm made from stainless steel. With leather hanging loops and ash wood handles. Presented in an open fronted box made from recycled paper.